Sometimes you start things which you don't really think through. And that's probably for the best, because if you knew how much pain and effort it takes before you actually do it, you might cop out rightaway. Riding a classic generally falls into this category as they are rather lengthy and require plenty of grit. Riding one of the five monuments doubly so. La Doyenne (Old Lady) is one of those. 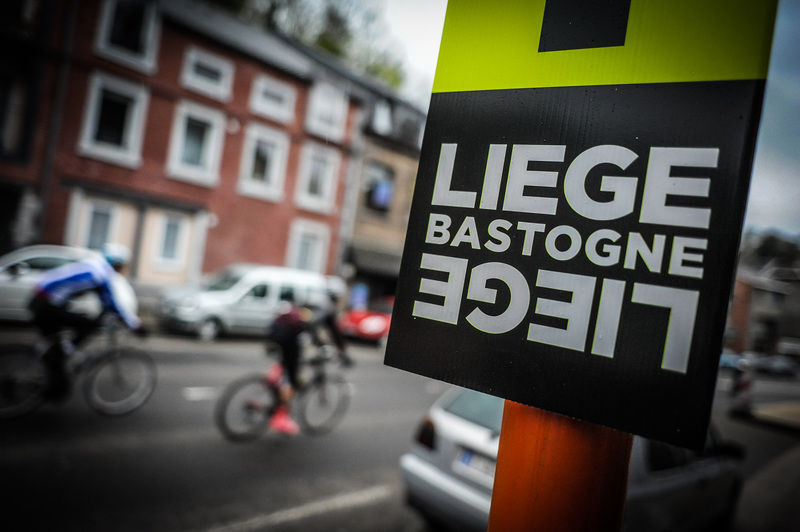 For most us it's better know as Liège-Bastogne-Liège (or Luik-Bastenaken-Luik for the Dutch speaking amongst us). It's a one-day race or cyclo. 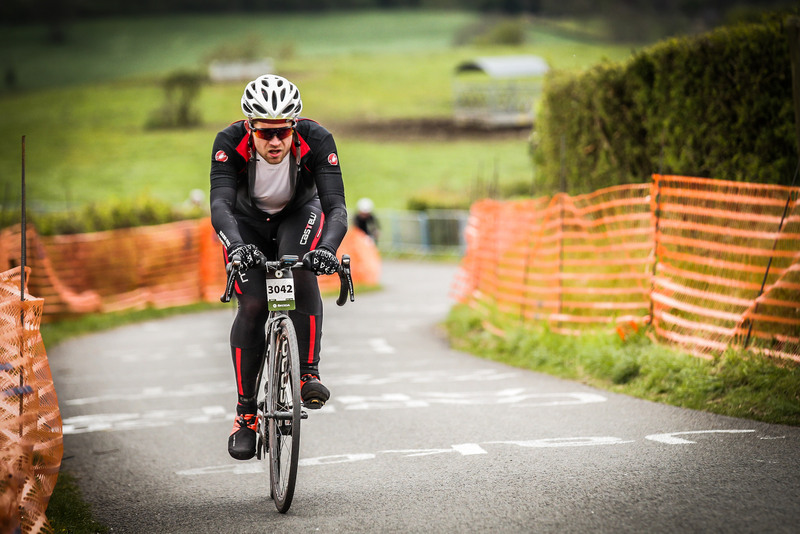 Which usually is the last of the spring-classics in the Ardennes region of Belgium where the weather is infamous for changing it's mind. Which could entail that you see all four seasons in one day. 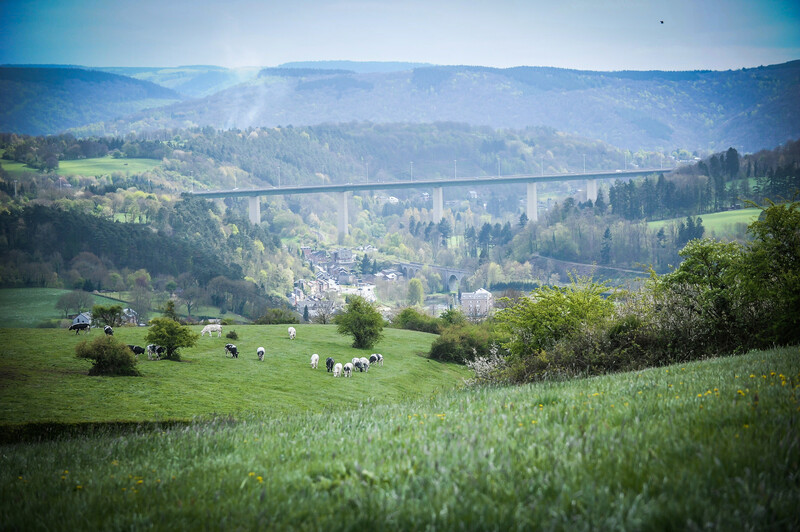 This region is also rich in history at the beginning of World War I, but especially famous for the Battle of the Bulge, the last major German offensive campaign during World War II, catching the Americans entirely of guard. At the end of last year Stijn had the great idea to ride this monument and Laurens and I agreed to ride with him. We opted-in for the full distance. 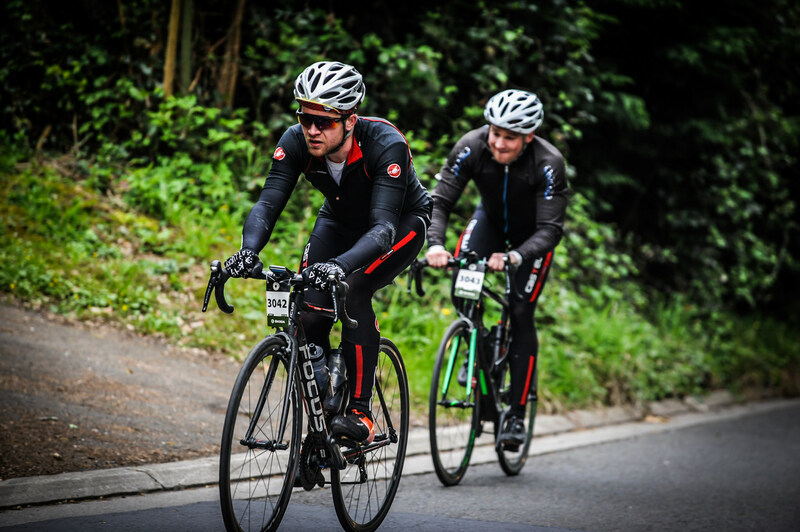 Meaning 273 kilometres in length and over 4500 meters of climbing. Which is exactly the same route including the cols that the professional peloton rides. Although they ride it just slightly faster and it's a little shorter at 250 kilometers. Not for the faint of heart to be sure. Especially when you haven't even done any rides over 200 kilometres this year. And some of us were still recovering a bit from various injuries, so in the end it was a sure thing that we would be riding primarily on character. Early Saturday morning we set out by car to the start/finish in Liège. And although the atmosphere in the car was good, there was definitely a palpable anxiety too. Weather was certainly a key factor in this, as it is hard to bring clothes for every occurrence and forecasts were anything but favourable. For Stijn it was mostly his back which he had bollocksed up the day before. So under prepared and somewhat ill equipped we started our long day. 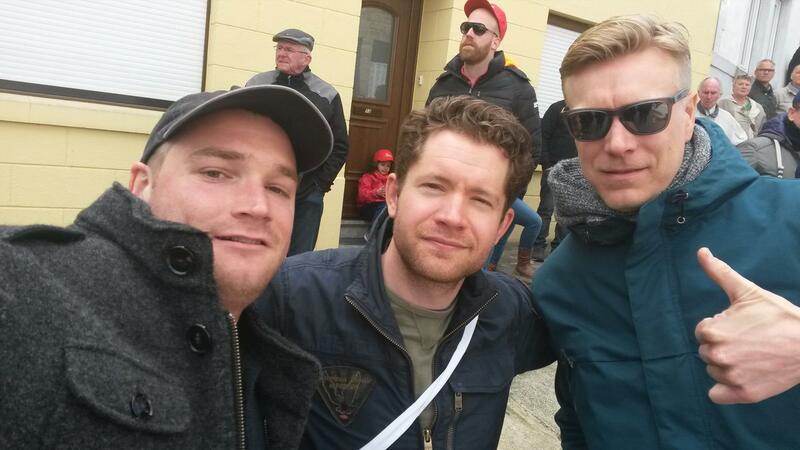 After 15 minutes of dry weather we got to experience drizzle and rain all the way to Bastogne and back a bit too. We did have the wind at our back for the first 100 kilometres during the ride towards Bastogne though. We minimized the length of our stops at the feed zone to stay as warm as much as possible too. This helped somewhat, but my hands were numb during some of the descents which wasn't pleasant, braking is a bit troublesome when you don't feel your fingers. Laurens was experiencing the same problems, let alone Stijn who had forgotten all about gloves and was riding without. I was wearing my Giro cycling gloves that are great for 5 to 10 degrees Celsius, but certainly not for this type of weather. I soon added an extra layer of Merino Wool gloves. But when your gloves get wet it's doesn't matter how many layers you have. I did learn of a neat trick a few months back during the cyclocross season though. This entailed putting on a latex glove as your first layer and then adding your other layers of gloves. But before I could do this, I first had to help out Stijn with a flat during which we noticed that Laurens wasn't behind us anymore. He soon called and explained that the body of his rear wheel was broken. Fearing we couldn't continue at first, we were soon surprised by the amazing replacement service supplied by Mavic during the entire cyclo. Soon we were underway again with a new rear wheel for Laurens, a new inner tube for Stijn and me riding with a layer of latex gloves. My hands & fingers were enjoying their return to full sensory input and warmth. All this while drying the other gloves from the inside out. Safe to say this trick works but mind you that you take off the latex gloves before starting to sweat. Continuing on the long road to Liège we were soon faced with some more climbs. Like Col du Rosier with an average gradient of 6 % over 4.1 kilometres. The kilometers, two hundred and two by now, were starting to show on our faces. Every ascent was taking their toll and our legs were feeling it for sure. Having a good mantra helps you through it though. The mind controls the body, the body does not control the mind. 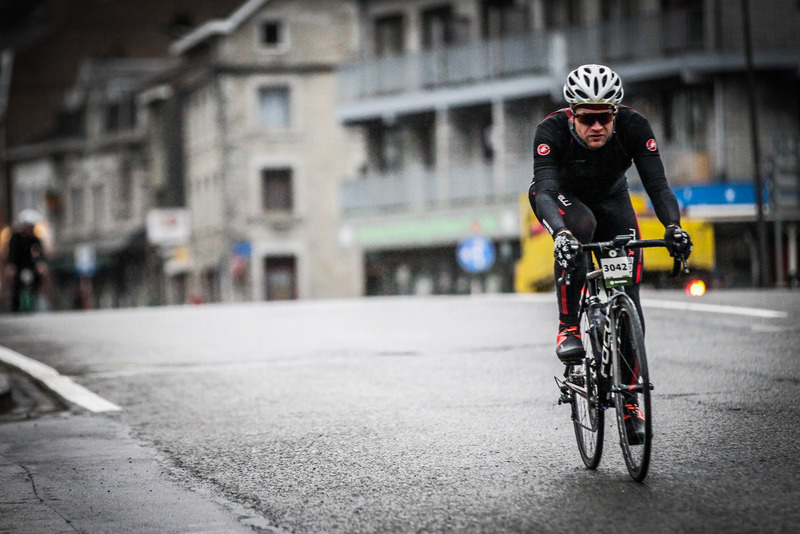 Just shy of the last feed zone we had to deal with Côte de La Redoute, one of the three timed climbs during this cyclo. And although I remember this climb to be way more difficult from a cyclo I rode a few years back, it didn't hurt as much as I thought it would but a PR was certainly out of the question. And that's saying something about a climb with average gradient of 9.8 % over a distance of 1.5 kilometres. And some parts even reaching 20 % gradient. After this two climbs and 50 kilometres remained. The weather had been quite good for the last 100 kilometers and the end was within reach, giving me to the extra push I needed to carry-on. Côte de la Roche-aux-Faucons and Côte de Saint-Nicolas, the last two & timed climbs, were hard. Especially as just after these two climbs, just shy of finish/start line, we had another little climb through the city which wasn't on the map but certainly painful. It was the last climb for the pros too, just before reaching their finish line. I say their finish line as we had to continue on a little further still. The finally descent was so nice though even when you include the cobbled section. A state of euphoria was starting to set in with just the right amount of disbelieve as I took the last roundabout and reached the end of 273 kilometres. We had done it, made it through and conquered everything that was put on our path today. From foul weather to mechanicals, from having enough of sugar rich food to cramps in legs. From teeth chattering descents to numb hands, from painful backs to intrusive thoughts of dismounting. But at the end those who push through it all reach their goal. Human endurance is a beautiful thing. We grow up with story telling, something that stops along the way. The modern equivalent, the humble audiobook or rather more so the episodic podcast.